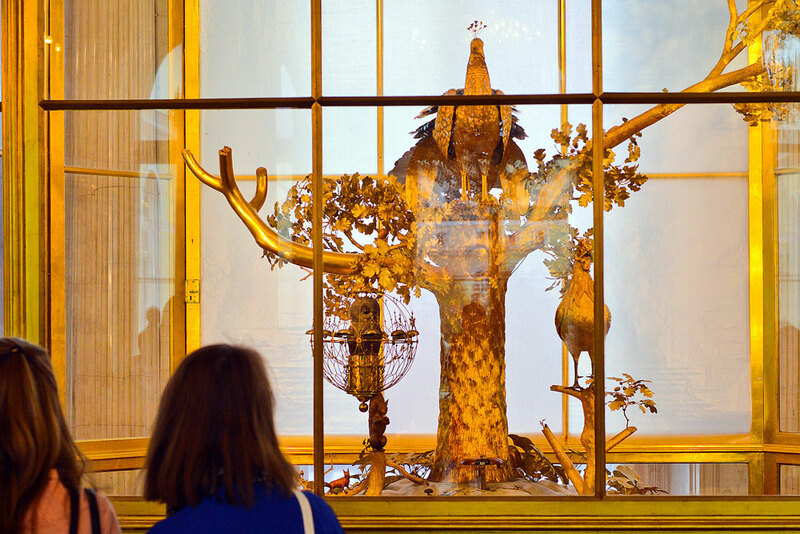 Visitors to the Hermitage Museum in St. Petersburg can once again admire the Pavilion Hall with its symbolic Peacock Clock, the world's largest timepiece of its kind. Following a six-week restoration, visitors to the Hermitage Museum in St. Petersburg can once again see the Pavilion Hall housing the world’s largest timepiece-automaton, the Peacock Clock, which has become one of the symbols of the museum. The clock was made by the famous British jeweler James Cox in the 1770s and purchased for the Hermitage collection by Catherine the Great. It is still in working order, with the figures of a peacock, a rooster and an owl coming into motion every hour. These days the clock is wound only on special occasions, but a monitor next to it runs a looped video of the clock in action for visitors to see. To mark the re-opening of the Pavilion Hall, the Hermitage has released a 360-degree online video showing how the clock works.